This post is sponsored by Pet Naturals® of Vermont. Recently, I shared the health benefits of owning a dog and many replied back with positive affirmations. Becoming Reece’s pet parent has brought so much joy and fulfillment in my family’s life. She is like a 4th child to me. As her pet mama, I take her happiness, health, and well-being seriously. The food I decide to feed her must be healthy and balanced. These requirements apply to her dog treats as well. As pet parents, we know that our dogs deserve something special! 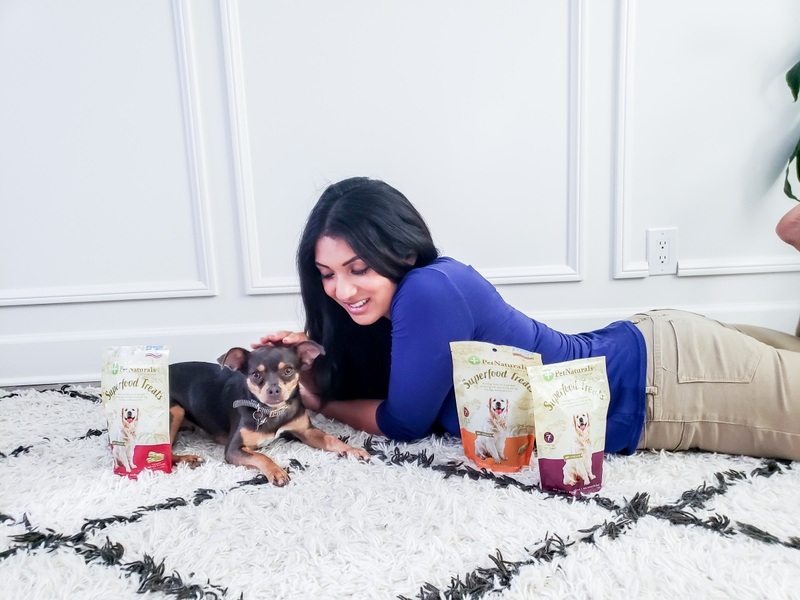 I am so excited to partner with my friends Pet Naturals® of Vermont to share with you their amazing Superfood Treats! 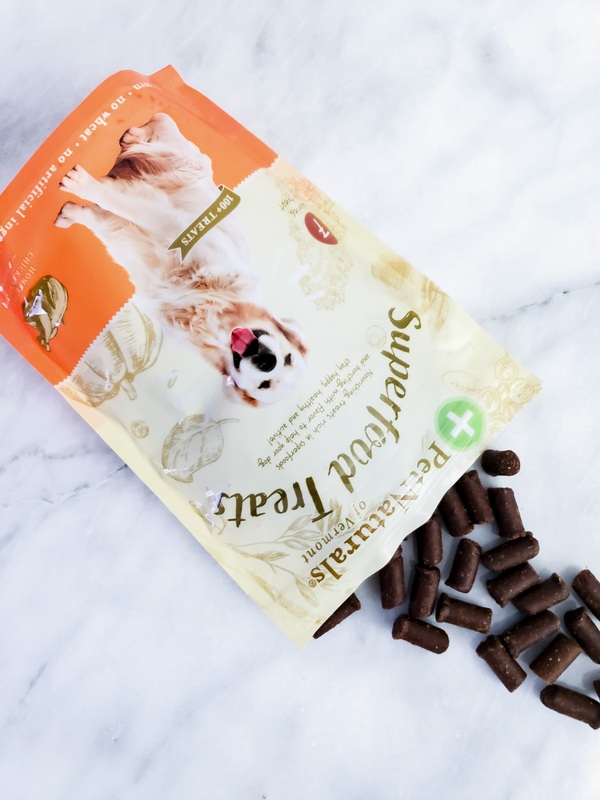 Pet Naturals® of Vermont Superfood Treat. No corn. No Wheat. No artificial flavors. Showcasing Homestyle Chicken Recipe. Pet Naturals® of Vermont Superfood Treat. 100+ treats per package. Only 7 calories per chew. Made with Organic ingredients. Showcasing Crispy Bacon Recipe. This pet company is remarkable! They have a 100% satisfaction guarantee on all of their products. I appreciate that each and every Pet Naturals® of Vermont products are veterinarian-formulated. This company has been established since 2005 and provide pet families with a great variety of pet supplements for cats and dogs in every category of health. Discover a selection from daily vitamins to bladder support chews. This is pretty cool! To learn about Pet Naturals® of Vermont: Facebook, Instagram, and Twitter. For those of you who have not meet Reece, here she is in all of her glory (read her adoption story here)! She has a larger than life personality and is so much fun! 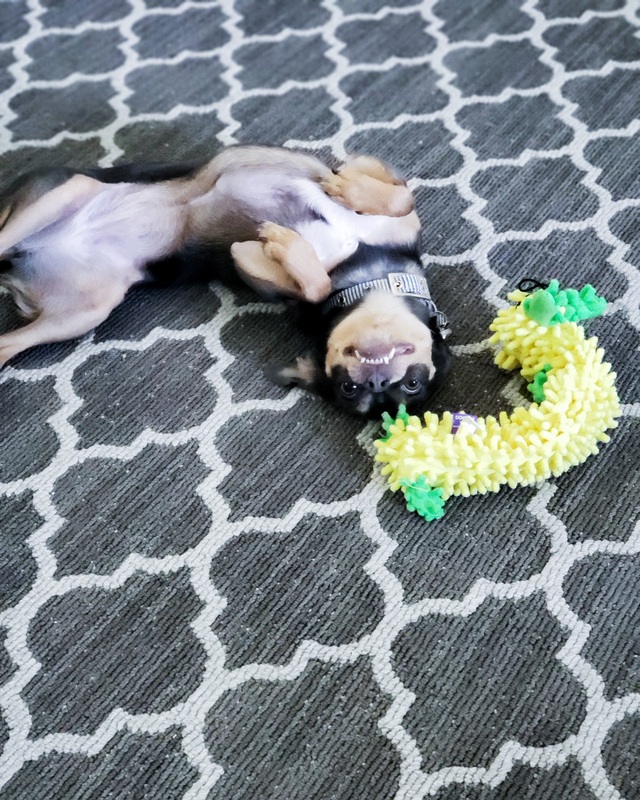 Reece is also full of love, playful, and active. It has been so hot here in Orange County, CA that we have been staying comfortable and protected indoors with the AC on full blast. Our home is both like a zoo and jungle gym even more so now! Guys, save me from this madness! The kids are chasing Reece all throughout the house and Reece is chasing them back. I do love the summertime because we can spend so much time together as a family and Reece is spoiled rotten with all of my three kids’ time, attention, and love. Because Reece loves to play (pretty much non-stop), it is important we take water and treat breaks. 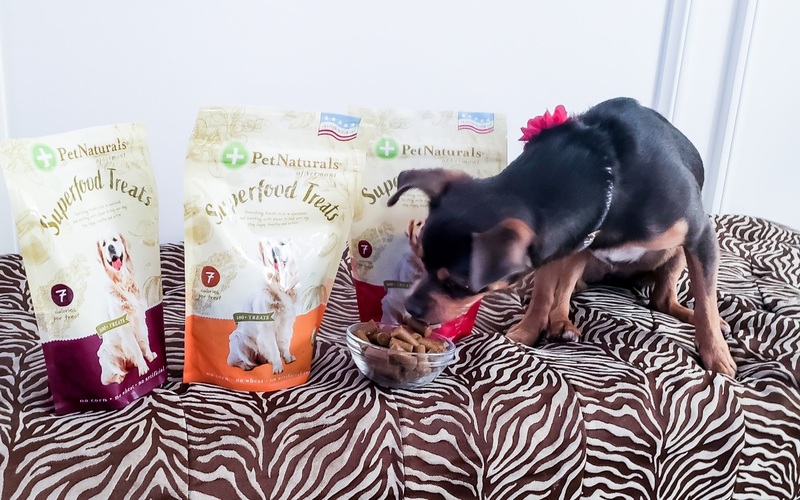 The kids love to treat her with Pet Naturals® of Vermont Superfood Treats. I love it because it is packed with nutrient-rich fruits, veggies, and oats that are good for her. Pet Naturals® of Vermont Superfood Treat. Made in the USA. All natural. Available in 3 flavors. Showcasing Peanut Butter Recipe. Have your dog try this! You can purchase nutrient-rich dog treat on Amazon.com and Chewy.com. I love that these Superfood Treats support her active lifestyle and foster a healthy, balanced diet. 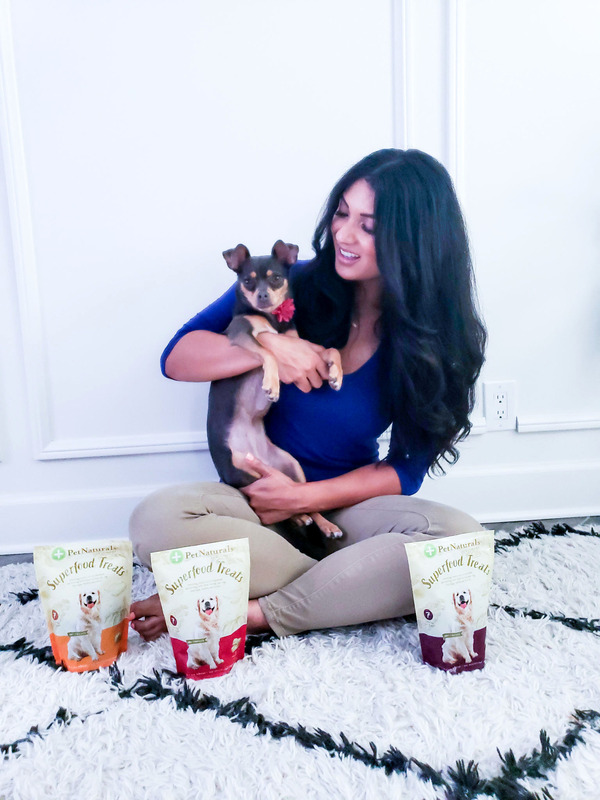 Wouldn’t you agree that with flavors like Homestyle Chicken Recipe, Crispy Bacon Recipe, and Peanut Butter Recipe, that your dog will just love the taste? They sound good enough for us to eat! 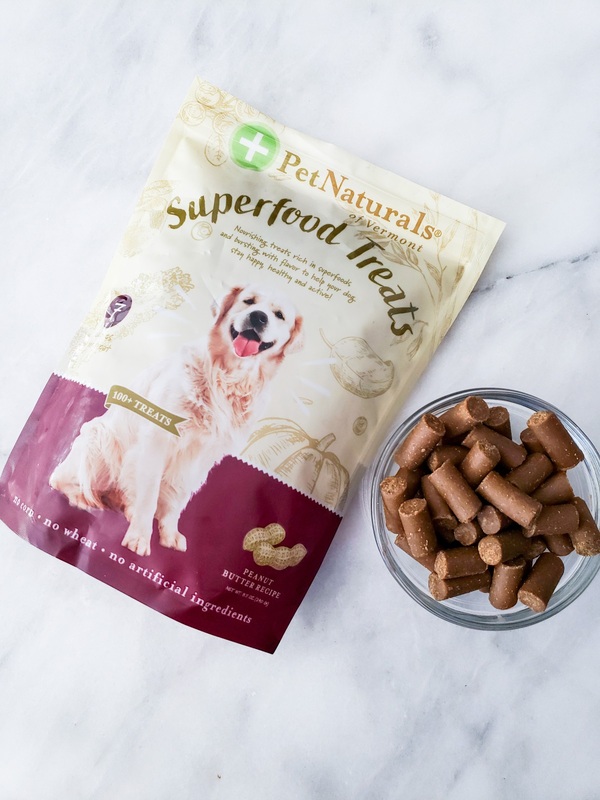 This Superfood Treat from Pet Naturals® of Vermont has the right combination of high-quality nutrients and delicious taste. I know this for a fact because Reece is always begging for more. Thank goodness it is only 7 calories per treat and loaded with superfoods such as kale, blueberries, apple, pumpkin, spinach, and oats. Only the best will be given to Reece….and your furry friend deserves the very best in dog treats too! Next Post Is Athleisure Wear Just A Trend? Oh your dog is just the cutest! I’ll have to pick some up for my pup as well! Your dog is super cute. I may have to pick some up for my pup. I don’t have dogs, but this sounds like a great option for those who do! I’m glad you are enjoying being a fur-baby momma. Your pup is so cute!! Seems like you guys are settling in well together! Yay for treats!! Reece is an adorable puppy! Looks like she is doing well and happy for the treats! We love these treats for our dogs! And your puppy is the cutest ever! These sound like great treats! Love the packaging and your super cute dog pics too! your dog is adorable and I love the images that you used. As a photographer I am always drawn first to the visual arts. 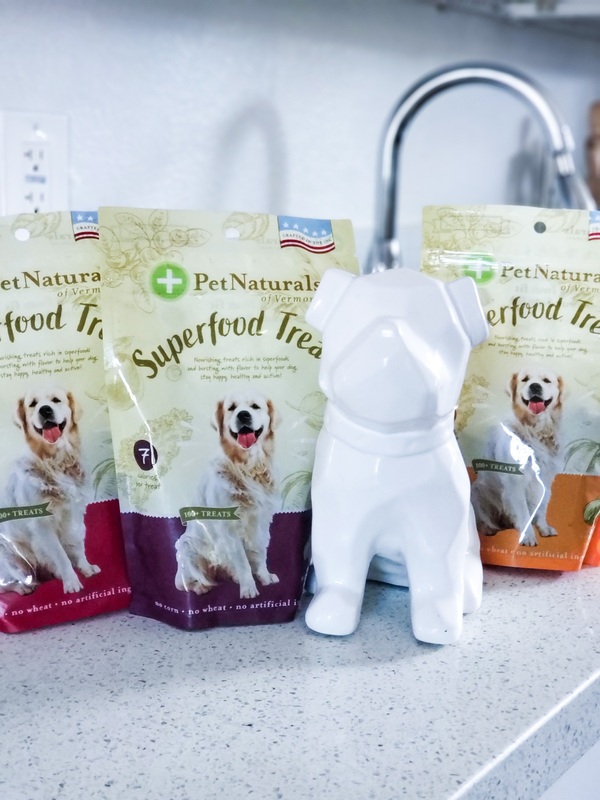 Treat our dogs with this Pet Naturals is the sweetest idea ever. I have to look into this. We just got a Pembroke Welsh Corgi and he would love these! Thanks for the recommendation! Your dog is SO cute! I am looking for new treats for my fur babies, so I will definitely be picking up some Pet Naturals for my girls! Reece is so adorable!! I have a Bichon and love giving her natural treats like these. Pet Naturals sounds great!! I’m always on the lookout for good pet treats for my cat. I’ll have to check to see if they make cat treats as well. These look like lovely treats for pooches! I have a cat and I know I adore getting him some tasty treats, it feels nice to treat them the way we do ourselves! Yyyeeaaahhhhhh….dogs deserve all the love and support from us! They understand us best. Awwwwwww such cute pics and he really seems to be enjoying the treats. Your dog is so cute! When I have a yard I can’t wait to get another dog. Oh my sakes! I LOVE the puppy!!!! We don’t have one but he is so so cute!!! Someday when we have space We will get one for sure! We have used these treats in the past, and our dogs have seemed to like them.